It’s time to start thinking ahead to side dishes for Thanksgiving dinner. 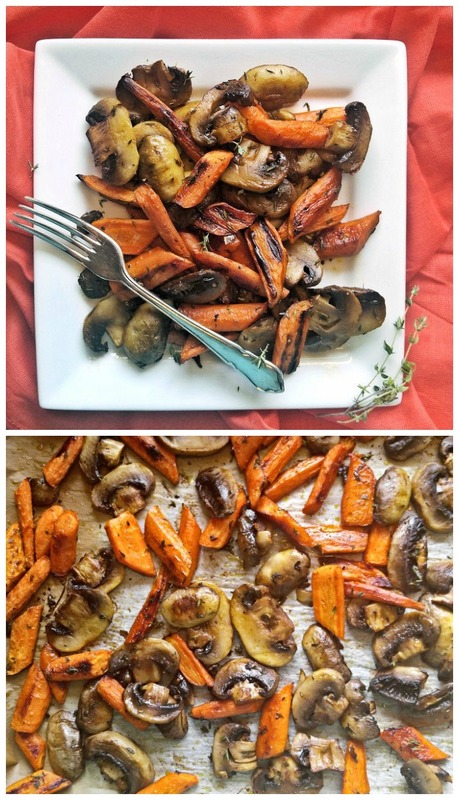 This roasted carrots and mushrooms dish is flavored with fresh thyme and roasted in the oven to bring out the naturally sweet flavor of the carrots. It’s scrumptious! Using fresh herbs for cooking recipes adds so much flavor. For today’s recipe, the fresh thyme is one of the stars! Can you BELIEVE Thanksgiving is right around the corner? I say it every year, but I really don’t know where this year has gone. I like to plan ahead for the holiday by getting some recipes tried and tested to make the actual celebration easier to cope with. Roasting carrots brings out their natural sweetness. I love to cook them this way, and also love to add other veggies to the mixture. 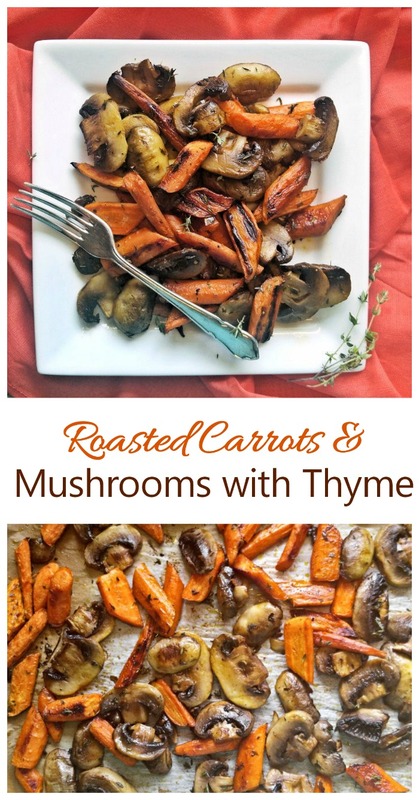 Making Roasted Carrots and Mushrooms with Thyme is Easy to Do. 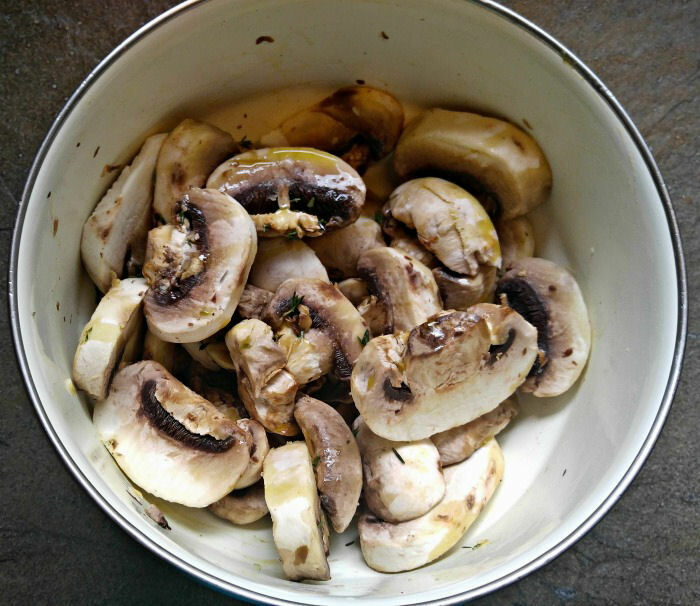 If you have 10 minutes to get these carrots and mushrooms ready for the oven, you are almost done with the recipe! This side dish is a busy housewife’s dream. The recipe takes just a few ingredients and very little effort. I used clarified butter and olive oil in this recipe. I like the flavor that the butter imparts and the process of clarifying it removes the milk solids to make it Whole30 and Paleo complaint. It’s very easy to do, too. Click here to see how to make clarified butter. I make a whole pound of it and keep it in the fridge to use in my recipes. I love that it has a higher smoke point than butter but still gives the great butter flavor. Start by cutting your carrots on the diagonal. To make the pieces about the same size, cut the larger ones towards the bottom of the carrot in half. Toss them in a bowl with half the olive oil and melted butter, as well as the thyme, sea salt and cracked black pepper. Lay them out on a baking sheet lined with parchment paper. 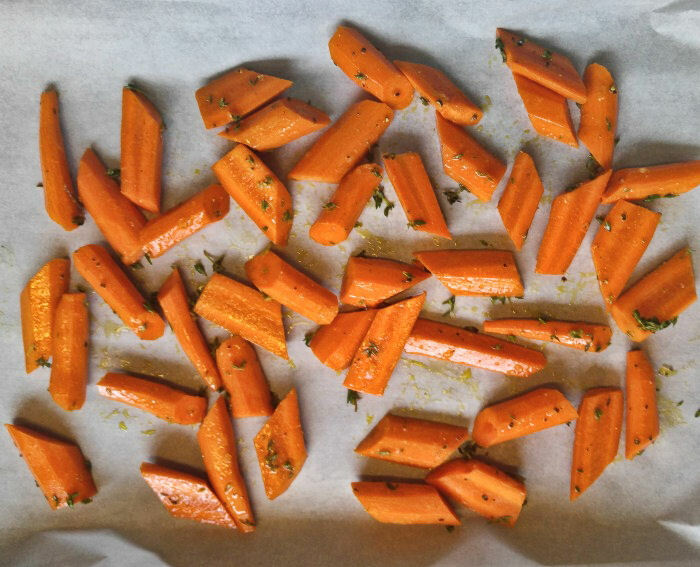 The carrots go into the oven first to cook, since they take a little longer. 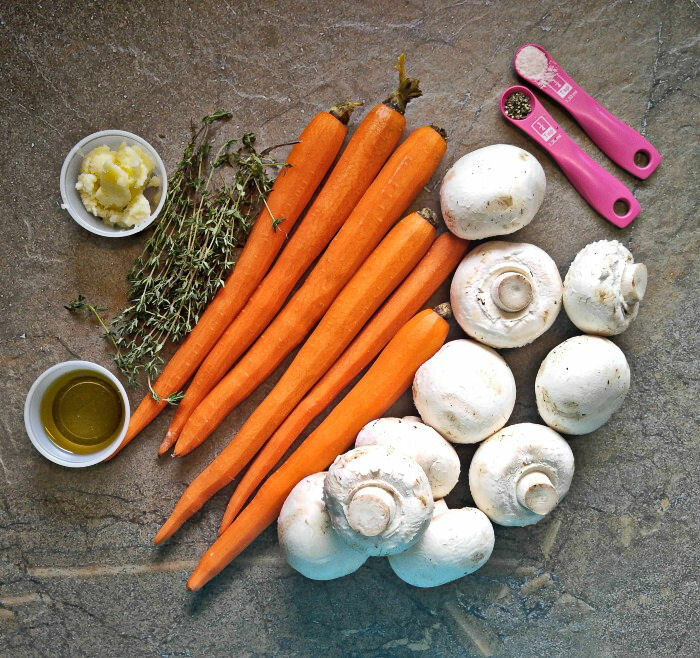 While they are roasting, wash, dry and cut your mushrooms into slices that are about the same thickness as the carrot width. Place in the same bowl and coat with the rest of the oil and butter. After 15 minutes take out the carrots, give them a good toss and add the mushrooms and continue roasting for another 15 minutes. The carrots will be nice and sweet with some darker bits, and the mushrooms will be tender and lightly browned. Don’t they look wonderful? I guarantee you that once you have tried roasted carrots, you won’t ever won’t to boil or microwave them again. The roasting brings out the natural sweetness and makes them taste amazing. Don’t worry if some of the carrots look more brown than the others (I like those the best) That is just extra flavor! 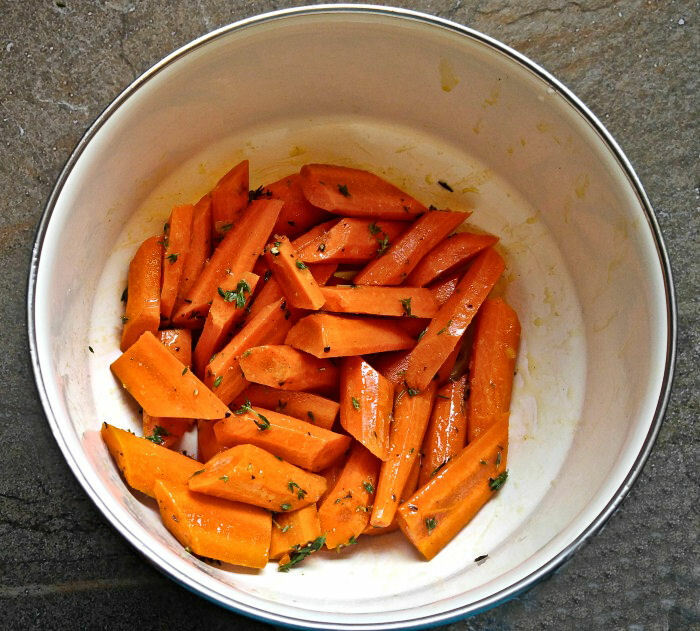 The lovely sweet carrots are great just on their own, but add in the earthiness of the mushrooms and the goodness of freshly grown thyme and you have the perfect Thanksgiving side dish. I love to use these roasted vegetables in my roasted carrot salad. It has a lovely balsamic dressing and is flavored with dried cranberries and pecans. SO YUMMY! 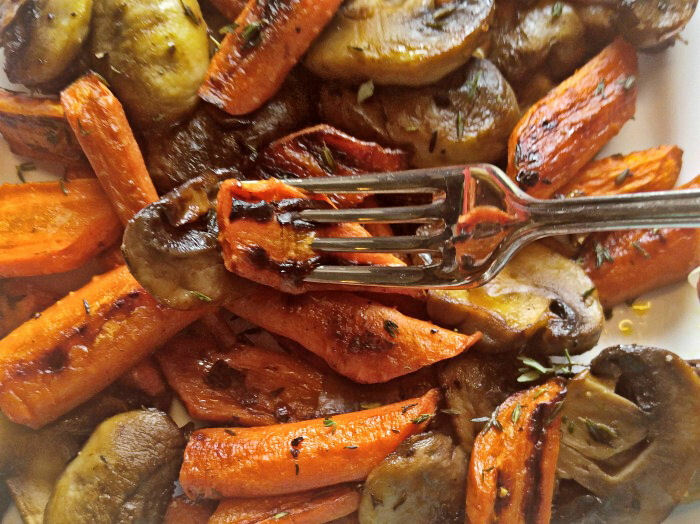 These Roasted Carrots and Mushrooms with Thyme fit into so many diet plans. These roasted carrots and mushrooms with thyme are gluten free, dairy free, Paleo, Whole30 compliant and Vegetarian approved. So tasty AND good for you too! 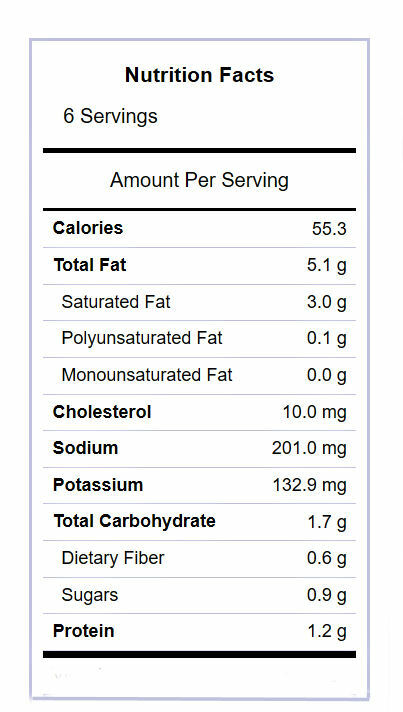 At 55 calories per serving, these are also very diet friendly. If you are looking for a quick and easy side dish that your holiday guest will love, be sure to try this recipe. You’ll be glad you did! This savory roasted carrots and mushrooms are gently cooked and seasoned with fresh thyme. They are simple to do and taste amazing. 8 oz sliced mushrooms. I used large white mushrooms. Peel carrots and cut carrots on diagonal into slices, cutting the larger pieced in half to make sure they are all the same diameter. Place them in a large bowl and toss with half the olive oil and better, as well as the fresh thyme, sea salt, and pepper. Spread on large baking sheet lined with parchment paper in a single layer. Roast the carrots 15 minutes. a bit thicker than the carrots. Place the mushrooms in the bowl that the carrots were in and toss them with the other half of the butter and olive oil. 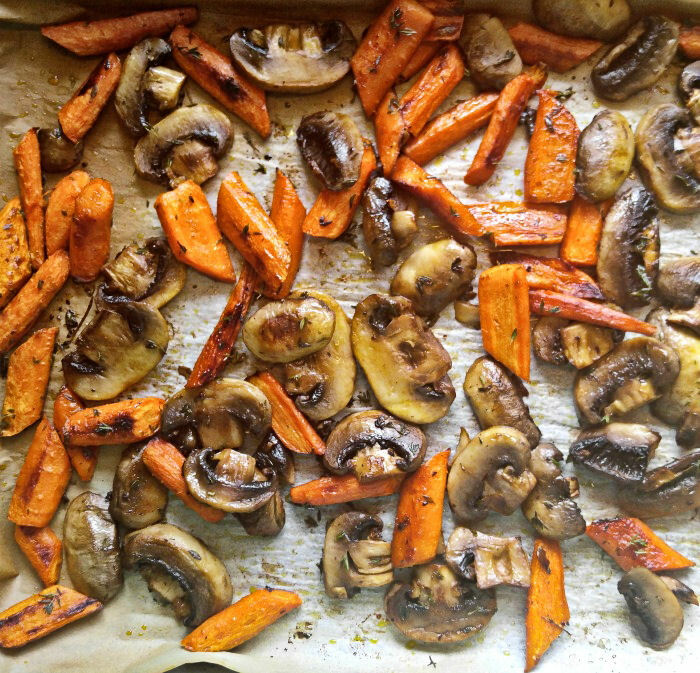 Remove the carrots from oven, stir, add the sliced mushrooms and roast 10-15 minutes more. Serve hot, sprinkled with fresh thyme..